THE MOST POPULOUS ANIMAL. Some one million species of insects have been described, and scientists speculate that another six to ten million are waiting to be discovered. As such, insects are the largest group in the animal kingdom and are more numerous than all other animal life forms combined. Members of the invertebrate phylum Arthropoda, they have been divided into at least thirty insect orders, each with an external skeleton and the same common characteristics: three pairs of legs; a head, thorax, and abdomen that are the insect’s three distinct body segments; a pair of antennae, which detects sounds, vibrations, and chemical signals (semiochemicals, including pheromones), and external mouthpieces specialized for feeding. Insects appeared some 400 million years ago, with the oldest fossils resembling modern-day silverfish. Scientists uncovered the full-body fossil impression of a flying insect that is thought to have lived 300 million years ago. 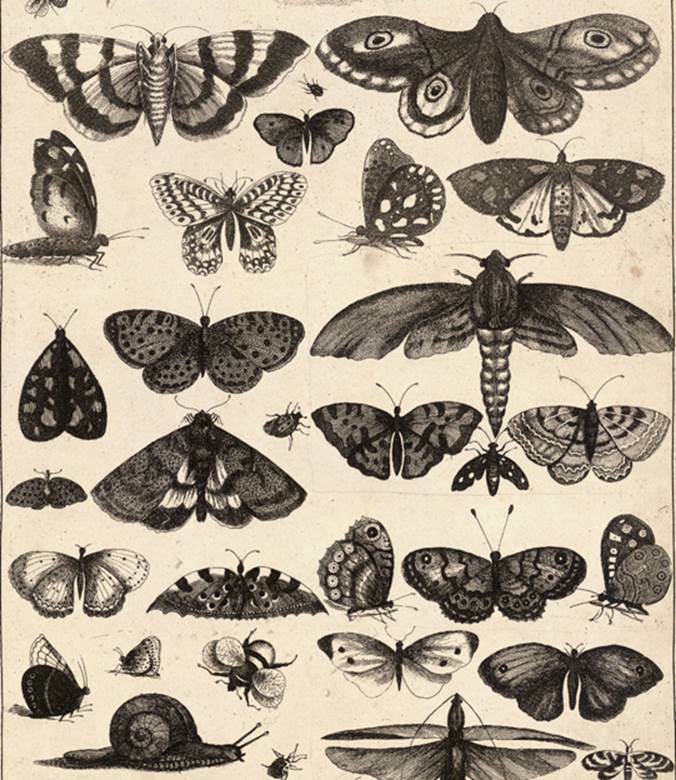 Insects were the first animals to fly and the only invertebrates to do so. Flying provided insects with a major competitive advantage, permitting them to escape from predators, find food and mates, and move to new habitats. Many insects undergo metamorphosis as an integral part of their lifecycle, and this may be incomplete metamorphosis, as with grasshoppers, where the young (nymph) resemble the adult but miniaturized. By contrast, the butterfly undergoes complete metamorphosis, in which the young (larva) goes through four distinct stages and is completely transformed in appearance as an adult. The American biologist E. O. Wilson has studied ants and their social behavior, which he described in his co-authored book The Ants (1990). Eusocial ants live in groups, cooperatively care for the brood, have overlapping generations and reproductive division of labor. Insects have a multifaceted relationship with their environment. Many of us perceive them to be pests, feeding on animal hosts (as mosquitoes), transmitting disease (malaria), and destroying crops (locusts) and structures (termites). But they also pollinate flowering plants, are useful for genetics research, and serve as food for animals. SEE ALSO: Arthropods (c. 570 Million BCE), Plant Defenses against Herbivores (c. 400 Million BCE), Angiosperms (c. 125 Million BCE), Paleontology (1796), Insect Dance Language (1927), Pheromones (1959), Sociobiology (1975). Wenceslaus Hollar (1607–1677) was a Bohemian-born etcher whose works included a broad spectrum of subjects, including this 1646 etching, Forty-One Insects.